I am absolutely thrilled about my newest product, Speech-Language Curriculum Assessments that is available in my TPT store!!! It is designed for use by speech-language pathologists who support teaching the language underpinnings of the 3rd grade English/Language Arts Common Core State Standards. Other grade levels will be available in the future. 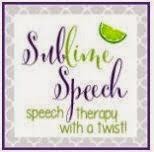 I provide educationally relevant speech-language therapy frequently and this product is a great way to assess students knowledge of the language underpinnings of the Common Core Standards related to skills that SLPs instruct. This is a must have if you work as a school based SLP. SLPs have the clinical skills needed to provide direct vocabulary instruction that will improve students' ability to learn the standards. Here are some examples of terms assessed in red below. This product contains 13 curriculum assessments that are informal standards based evaluation tools in a cloze sentence format with a word bank. They can be used to collect baseline or pre-assessment data and for post-assessments after the vocabulary words are taught in speech-language therapy sessions. The assessments provided will evaluate students' understanding of the vocabulary skills that are needed to master 3rd grade standards. As a bonus, I have also included English/Language Arts vocabulary assessments according to categories such as types of nouns, types of sentences, parts of speech, story vocabulary, types of literature, types of writing, figurative language, and prefixes. I hope that this product will assist you in providing educationally relevant speech-language therapy services! This product pairs well with my language interventions Guess What? Curriculum Bundle and English/Language Arts Common Core Vocabulary Bundle. Thanks for reading my Building Successful Lives blog today. Make sure that you subscribe by entering your email in the box in the right hand column of this page. 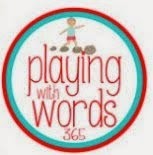 Stay connected and remember that SLPs are building speech, language, academic, and social skills of kids everyday! Keep up the great work! :) I'm back to work full-time tomorrow. Summer break is officially over. Nice article. There are few well-known Speech Language Pathologists in Kolkata who provide Speech Problem Treatment In Kolkata. Looking forward to more informative articles from you.